20,000 Square Feet, On Demand. Venshore Mechanical continually stays on the cutting-edge of fabrication and mechanical development, providing the highest quality of pipe fabrication, specialty spools, skids and modules. Our state-of-the-art fabrication Facility in Thunder Bay, Ontario provides high quality pipe spooling and module manufacturing. 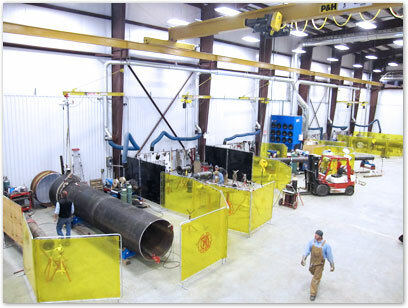 The 20,000 square foot modern facility utilizes the latest in pipe fabrication processes to produce over 200,000 inch diameters of welding per year, and features 6,000 square feet of cold storage and four acres of secure yard space. Our 25′ under-hook overhead cranes have the ability of servicing the entire shop and directly access the outside laydown area to minimize handling. Venshore Mechanical is able to fabricate entire systems of partial structures according to project requirements, and then deliver to anywhere in North America. If necessary, we can use our industrial contracting expertise to assist with on-site system installation. Contact us for more details. 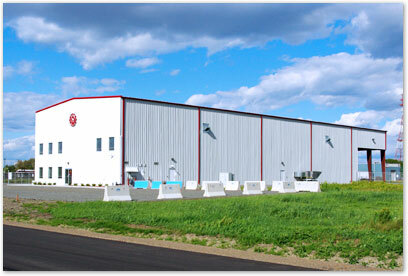 Venshore Mechanical Pipe Fabrication Facility, Thunder Bay, ON.